The Eygptian military's announcement by Maj. Gen. Ibrahim Abdel-Atti, head of the Cancer Treatment and Screening center, that "I defeated AIDS with the grace of my God at the rate of 100%. And I defeated hepatitis C" was met by skepticism to say the least. This announcement, coming at a time when turmoil in Egypt has boiled over into near civil war, has all the marking of a political ploy. That being the case, there has been some very encouraging news on the AIDS cure front recently, so lets give them the benefit of the doubt as far as motivations, and instead give their claims a good scientific rebuttal. For more information, see CDC’s Basic Information About HIV And AIDS. In essence, all this means that the AIDS virus is very difficult to treat, and this is why scientists have spent decades searching for a viable treatment. A search for AIDS related research on Google Scholar yields over 2 million results. The announcement, in short, is a scam. Any research on the subject can therefore be tracked and analysed through peer review, which is one of the bedrocks of science. So there are several papers about the research in Egypt right?...Wrong, in reality, the research has not been published in any international medical papers or approved by global entities. The Egyptian military instead claims that this discovery is part of a 'secret project' that has yielded several miracle devices and cures. As part of their announcement they also released a short video, that also contained no verifiable scientific claims. This, in short, is a scam. In 1987, a drug called AZT became the first approved treatment for HIV disease. Since then, approximately 30 drugs have been approved to treat people living with HIV/AIDS, and more are under development. You may have heard these drugs called many different names, including "The Cocktail", Antiretrovirals (ARVs) and Highly Active Antiretroviral Therapy (HAART or ART). There are currently five different "classes" of HIV drugs. Each class of drug attacks the virus at different points in its life cycle—so if you are taking HIV meds, you will generally take 3 different antiretroviral drugs from 2 different classes. This regimen is standard for HIV care—and it’s important. That’s because no drug can cure HIV, and taking a single drug, by itself, won’t stop HIV from harming you. Taking 3 different HIV meds does the best job of controlling the amount of virus in your body and protecting your immune system. 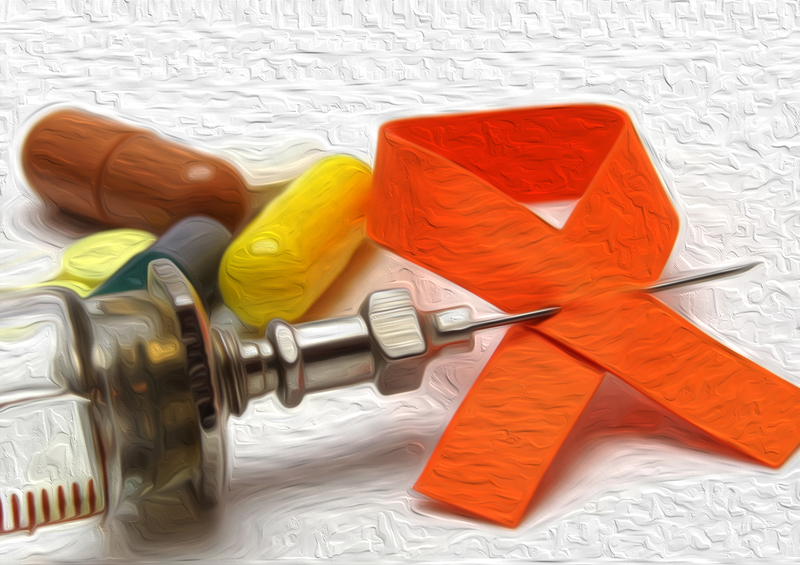 Taking more than one drug also protects you against HIV drug resistance. When HIV reproduces, it can make copies of itself that are imperfect—and these mutations may not respond to the drugs you take to control your HIV. If you follow the 3-drug regimen, the HIV in your body will be less likely to make new copies that don’t respond to your HIV meds. Each HIV medication is pretty powerful by itself—and the key to treating your HIV disease successfully is to pick the right combination of drugs from the different classes of HIV meds. -Nucleoside/Nucleotide Reverse Transcriptase Inhibitors (NRTIs): Sometimes called "nukes." These drugs work to block a very important step in HIV’s reproduction process. Nukes act as faulty building blocks in production of viral DNA production. This blocks HIV’s ability to use a special type of enzyme (reverse transcriptase) to correctly build new genetic material (DNA) that the virus needs to make copies of itself. -Non-Nucleoside Reverse Transcriptase Inhibitors (NNRTIs): These are called "non-nukes." They work in a very similar way to "nukes." Non-nukes also block the enzyme, reverse transcriptase, and prevent HIV from making copies of its own DNA. But unlike the nukes (which work on the genetic material ), non-nukes act directly on the enzyme itself to prevent it from functioning correctly. -Protease Inhibitors (PIs): When HIV replicates inside your cells, it creates long strands of its own genetic material. These long strands have to be cut into shorter strands in order for HIV to create more copies of itself. The enzyme that acts to cut up these long strands is called protease. Protease inhibitors (stoppers) block this enzyme and prevent those long strands of genetic material from being cut up into functional pieces. Entry/Fusion Inhibitors: These medications work to block the virus from ever entering your cells in the first place. HIV needs a way to attach and bond to your CD4 cells, and it does that through special structures on cells called receptor sites. Receptor sites are found on both HIV and CD4 cells (they are found on other types of cells too). Fusion inhibitors can target those sites on either HIV or CD4 cells and prevent HIV from "docking" into your healthy cells. -Integrase Inhibitors: HIV uses your cells’ genetic material to make its own DNA (a process called reverse transcription). Once that happens, the virus has to integrate its genetic material into the genetic material of your cells. This is accomplished by an enzyme called integrase. Integrase inhibitors block this enzyme and prevent the virus from adding its DNA into the DNA in your CD4 cells. Preventing this process prevents the virus from replicating and making new viruses. -Fixed-dose combinations: These are not a separate class of HIV medications but combinations of the above classes and a great advancement in HIV medicine. They include antiretrovirals which are combinations of 2 or more medications from one or more different classes. These antiretrovirals are combined into one single pill with specific fixed doses of these medicines. For a complete description of HIV drugs (including photos and brand names), see AIDSmeds.com’s Treatments for HIV and AIDS Exit Disclaimer. Your provider will take many things into account when considering which HIV medications to prescribe for you. These will include your preferences (number of pills, once a day versus twice, etc. ), the general state of your health (including your CD4 count) possible side effects, your medical and psychiatric history, etc. You should talk with your provider about the choice of medications, including possible side effects and how you should take them. Sometimes your HIV medications may be only a part of the whole package of meds you may take. If you are at risk for opportunistic infections, your healthcare provider may also put you on daily or weekly medications to prevent your getting sick with a specific kind of infection. This type of treatment is known as prophylaxis. In addition, you may take other medications to prevent side-effects. These can include meds to prevent diarrhea, nausea, or pain. If you have other health problems (like high blood pressure or diabetes), you may also need to take medications to treat those conditions. All of these medications work together to keep you as healthy as possible while complementing your treatment for HIV. It is important to discuss ALL of your medications when you see your provider, because each one is important to the success of your whole treatment plan. Every so often, one of our articles here at AfricanDynamo about new advances in HIV treatment gets bombed with comment spam from some fraudster claiming to know how to cure AIDS. Usually, their claims are good for a laugh, but occasionally the fraud id more sophisticated. In these cases, we expunge the articles and warn off the perpetrators, and this is the only responsible thing to do. The scientific community has issued a loud condemnation of the Egyptian military's claims, and I think the entire internet should join them.